Ernest Hemingway wrote his epic second novel, The Sun Also Rises, in 1926. It's a tragic love story that follows a group of American and English expats around the Left Bank of Paris to the macho bullfighting scene in Pamplona, Spain. 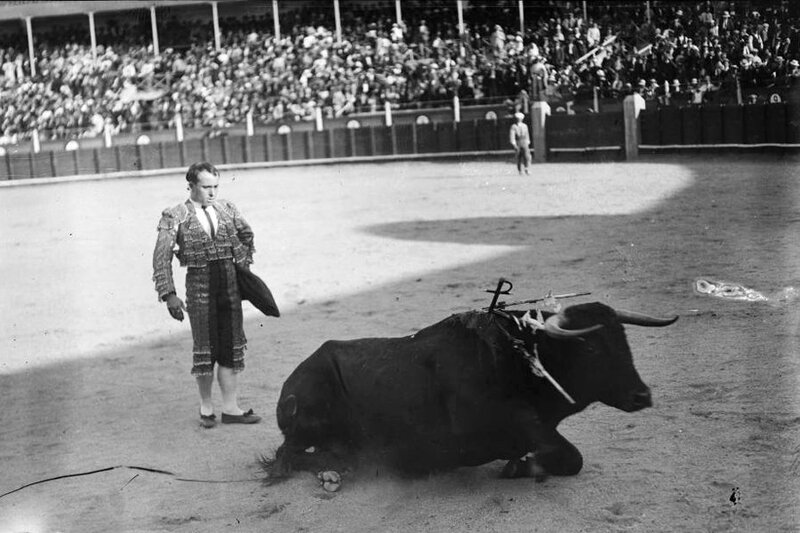 As we're thinking about the state of bullfighting today on Popupla, we thought we'd take a minute to recall it's heady and glamorous novelization.